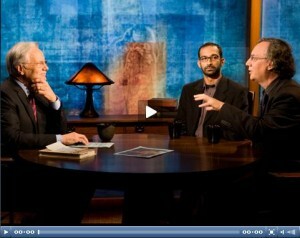 The PBS show Bill Moyers Journal (last Friday) started with an extremely enlightening discussion about Pakistan, with 2 people who have actually lived there (again, what a journalistic concept!). It seems most of the fear mongering is not true, sound familiar? For example, the “Taliban” in Pakistan are not really all Taliban. In reality there are a handful of different factions who do not all agree with each other that are being lumped in to the word “Taliban” by the US Establishment (mass media, political leaders, pundits). Then there are only about 4000 of these “bad guys,” vs about 550,000 Pakistani military forces. And the fact that Pakistan was able to get rid of a military dictator and demand free and fair elections and ended up electing the most popular candidate at the time (who has his own issues of corruption though), is considered a weak and unstable place!? What a propaganda job we are getting here in the good ‘ol US of A! You may ask, “What is the motive for the fear-mongering?” The answer is the US wants Pakistan to do something it does not want to do, so threatening them and calling them unstable will force them to take action they would not otherwise take. In this case, the US wants them to militarily attack the northwest territories as a backstop for the US military’s efforts in Afghanistan. On a side note, if you haven’t read it yet, check out his book Whiteout which is part of our progressive library. -Thanks G for the excerpts and link! Where are the US news media and leaders? Simple economics 101 teaches that massive deficits and debt will lead to inflation or default or both. People should be warned so they can take measures to protect themselves!